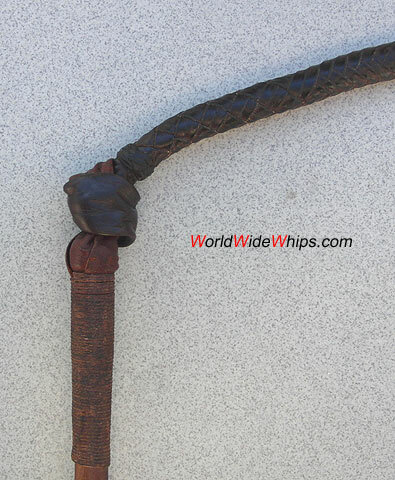 This stockwhip has been purchased in the UK. Unfortunately, the maker is unknown. The 12 plt roohide thong is 8 ft long, the handle made from hardwood (rather unusual in stockwhips). The hand part has an 8 plt overlay.